Match of the Day's running order is a topic of fierce debate every week - who should be first and who should be last? Well, this Saturday presenter Gary Lineker will personally tell you who has been picked first and why. In a first for any Facebook page outside the USA, Match of the Day will stream an exclusive live broadcast using Facebook Mentions. As well as the running order, there will also be behind-the-scenes coverage from the show with this week's guests. The live broadcast will go out shortly after the late game between Arsenal and Everton finishes. 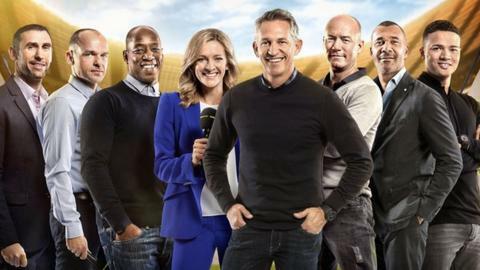 "We are really looking forward to Gary Lineker revealing the much-anticipated running order live to fans across the country on Saturday night," said Mark Cole, lead executive for BBC Football. "Even though Match of the Day is one of the oldest sports shows on television, celebrating our 50th birthday last year, social media plays an important part of our coverage, both in how we integrate into broadcast and how we use it to support the BBC's extensive multi-platform football coverage." Match of the Day's Facebook page has 1.64 million fans in the UK alone, with Manchester United the only Premier League club to boast more in the UK. Head to the Match of the Day Facebook page this Saturday to watch the exclusive broadcast.